We had a busy week of doctor appointments, fall festivals, trick-or-treating and an All-Saints Day Mass. 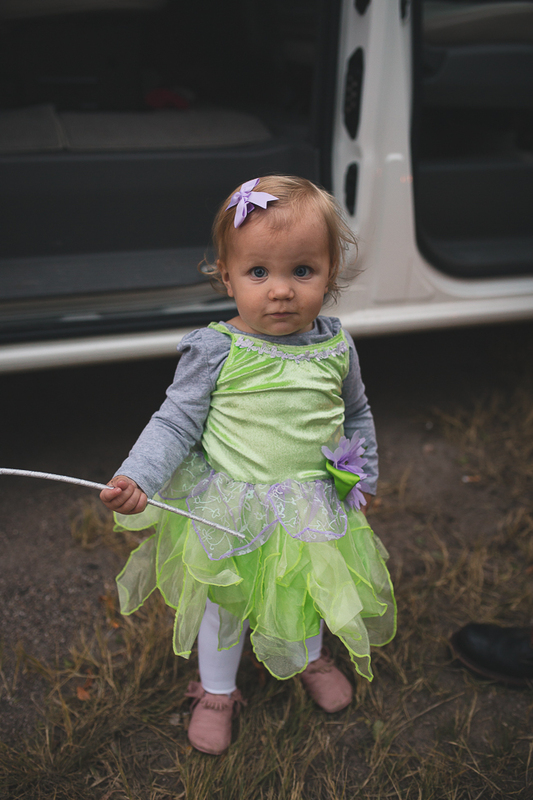 For Halloween, we had three Captain Hooks and a Tinkerbell. 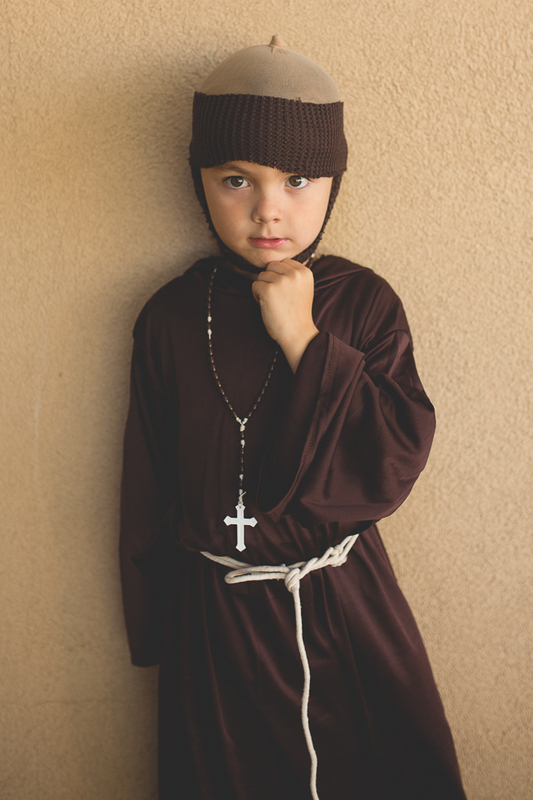 For All Saints Day, we had two Saint Francis boys and one Saint Padre Pio (in his younger years). 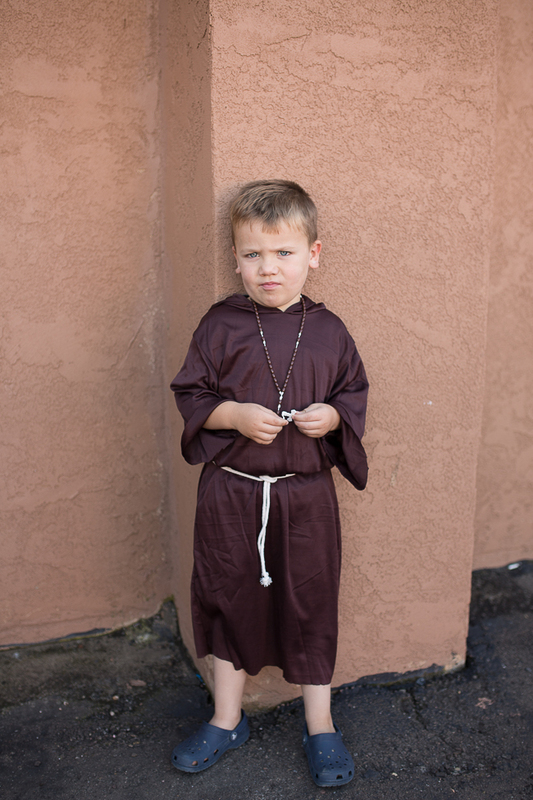 Peter // 4 - Saint Francis of Assisi who doesn't like dressing up. John Paul // 2 - Padre Pio showing you his stigmata. Sophie // 1 - She didn't get to be a saint this year - just had one costume for her...Tinkerbell! John Paul LOOKS ADORABLE with his homemade stigmata!! 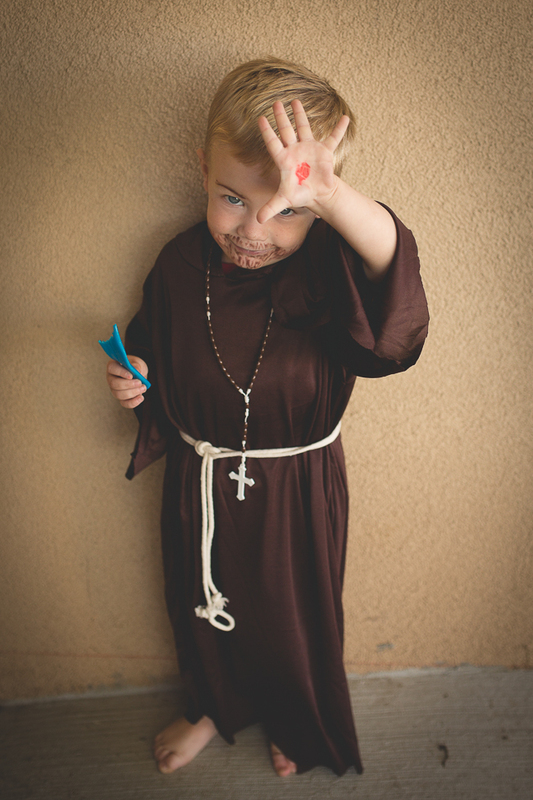 Love seeing all the little kids dressed as saints, there are so many sweet and creative ones! Your Captain Hook costumes made me think they were the Three Muskateers!